SACRAMENTO, Calif. /California Newswire/ — This week, Calif. Governor Edmund G. Brown Jr. joined legislators and labor leaders to announce a landmark agreement that makes California the first state in the nation to commit to raising the minimum wage to $15 per hour statewide. The Governor was joined at today’s announcement by: Senate President pro Tempore Kevin de León; California Labor Federation president Kathryn Lybarger; SEIU United Long Term Care Workers’ Union president Laphonza Butler; Burger King employee Holly Dias; Senator Mark Leno; California Labor and Workforce Development Agency secretary David Lanier; United Domestic Workers of America executive director Doug Moore; Teamsters Union International vice president Rome Aloise; and United Healthcare Workers West executive board member Georgette Bradford. Under the plan, minimum wage will rise to $10.50 per hour on January 1, 2017 for businesses with 26 or more employees, and then rises each year until reaching $15 per hour in 2022. This plan also recognizes the contributions of small businesses – those with 25 or fewer employees – to California’s economy and allows additional time for these employers to phase in the increases. The purpose of the plan is to increase the minimum wage over time, consistent with economic expansion, while providing safety valves – known as “off-ramps” – to pause wage hikes if negative economic or budgetary conditions emerge. The Governor can act by September 1 of each year to pause the next year’s wage increase for one year if there is a forecasted budget deficit (of more than one percent of annual revenue) or poor economic conditions (negative job growth and retail sales). This plan also phases in sick leave for In-Home Supportive Services workers starting in July 2018. 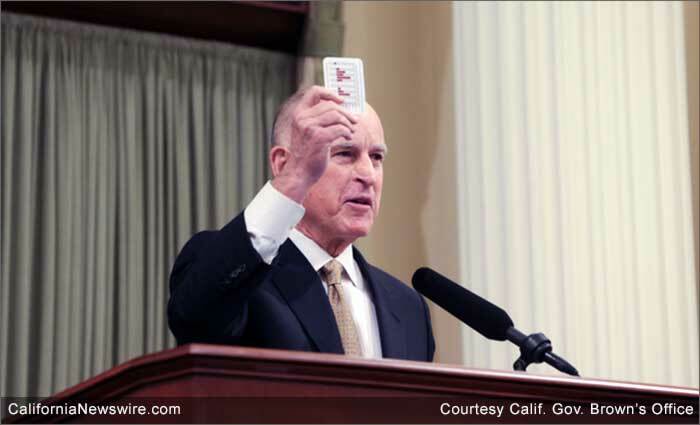 Governor Brown signed AB 10 in September 2013 to raise California’s minimum wage 25 percent, from $8 to $10 per hour, effective January 1, 2016. There are approximately 7 million hourly workers in California, of which about 2.2 million earn the minimum wage.